At Koç University ELC for Kids Programs, we work with mentors and teachers who love working with children and who can lead them by example and support their social development. Both for Intensive and Daycamp Programs we choose mentors who are energetic, positive, well-equipped, patient and caring. Our main goal is to provide our participants with a safe and fun environment where they can practice their English comfortably without any judgment. 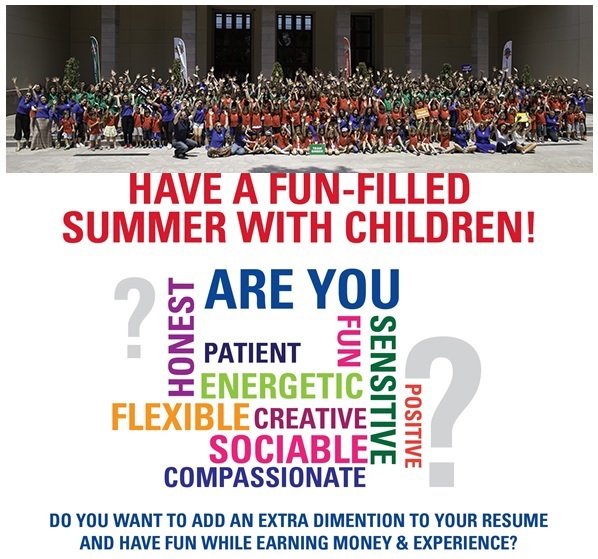 If you share our vision and think that you are ready for a challenging yet extremely enriching summer, you can start your journey by filling out the application form below. After evaluating applications and resumes, remaining candidates will be asked to send a video explaining why they would be a great mentor and they will be interviewed by our mentor supervisor. It is mandatory to attend the orientation week. Our mentors will be accommodated at the Koç University Rumelifeneri Campus dorms and given a meal plan card that can be used on and off campus.